A picture of James E. McKenzie, US Army. It appeared in the Shenandoah Herald on September 7, 1950 when the paper announced he had been killed in action in Korea. 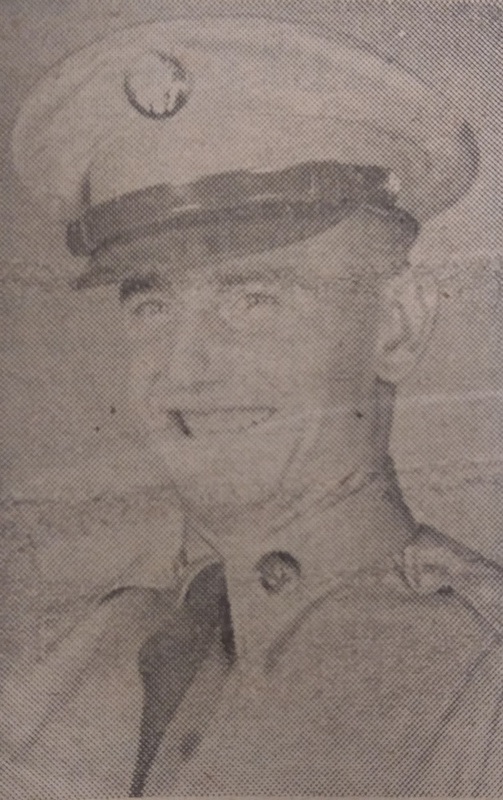 On September 7, 1950 the Shenandoah Herald Private James E. McKenzie, 18, of Quicksburg was killed in action while serving in Korea. He was the first county resident to die in the conflict. McKenzie was a graduate of the New Market High School Class of 1949. He volunteered for the US Army after graduating, was assigned to the 23rd Infantry Regiment, and deployed to the conflict zone in July of 1950, almost immediately after the war began. His parents, G.M. and Florence McKenzie as well as 5 brothers, 3 sisters, and his grandparents survived him.